When the economy turned south in 2009, the one thing that I truly believe kept me gainfully employed through multiple rounds of layoffs while others didn’t make the cut was my skills at managing data in Excel. This is the one thing that completely separated me from the rest of the pack. YOU are the person that people go to for help with everything. While this may seem like a hassle to have everyone always coming to YOU all the time. The fact that YOU have become the “Go To” person not only helps keep you employed but I've found that it also helps YOU become much more promotable. Now I can’t guarantee that learning Excel will absolutely result in a big promotion or big raise but setting yourself apart from all of your co-workers really helps in that regard. What makes this training the absolute BEST training that you can buy? I've found the absolute best way for me to train someone is have them sit right next to me while I show them how I perform the work that needs to get done. Instead of just seeing how to do this function or that function without really seeing how it’s put together in real-world work, I've put together a training that will come as close as possible to mimicking YOU sitting right next to me while we go through actual real-world examples. I've created a fictional boss who sends us fictional emails with various tasks to perform. This is the absolute best way for YOU to see how REAL WORLD work is done! YOU look over my shoulder as I explain exactly how and why we perform each task in Excel. Each email (or lesson) builds upon what you learned in the previous lessons. This training is called Excel - Day One. This would be as if you just started with my company and it’s your first day. 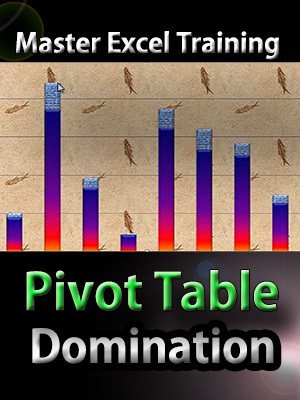 YOU are going to sit right next me while go through various tasks in Excel. We start at the basics and go beyond! * Create a pdf of your document. …and that’s just the first email!! * Keyboard shortcuts for LIGHTNING SPEED! 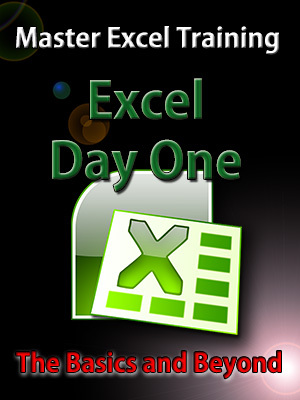 This is the fastest and easiest method to learn Microsoft Excel!!! Even if you are beyond the basics you should share this with your employees to help them become experts at managing data in Excel ! Why did I create video training programs? After sending some staff to a class at an outside training company we realized that we weren’t getting the benefit we had hoped for, the staff came back with some knowledge but not that real world experience that I needed them to have. Since I was always the “Go To” guy for Excel questions the senior management team approached me about putting together an in house training program. You may have thought about attending a training class to learn Excel, but from our experience these classes can be costly and if you’re anything like me YOU hate wasting time sitting through a class to learn a computer program only to forget most of it the very next day, right? 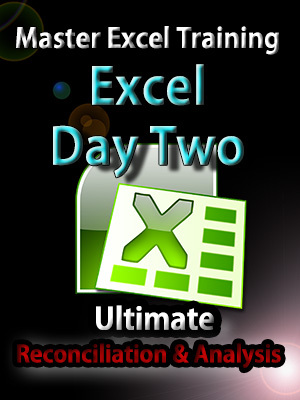 NOW, let’s make Excel to work for YOU!!! You can easily buy with Paypal - After checkout WAIT for a couple of seconds to get the SAVE FILE Dialog!